A photo exhibition, which focuses on portraying the cultural heritage of Shandong, was opened on the same day. Representatives from the Shandong government, Linde Hydraulics, Weichai Power and the Confucius Institute of University of Frankfurt attended the launch ceremony. 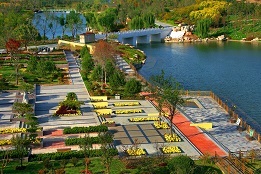 Wei Changmin, head of the Information Office of the Shandong provincial government, delivered a speech at the ceremony. Wei said that in recent years, China and Germany have witnessed frequent high-level visits with ever-growing bilateral trade and investment as well as people-to-people exchanges. "The culture communication center will serve as a bridge for the two sides to deepen mutual understanding and provide a channel to enhance friendship." Janfried A. Tirre, executive vice president of Linde Hydraulics, said the Belt and Road Initiative implemented by the Chinese government strongly promoted Sino-German communications in the technology, education and culture sectors. The initiative has created opportunities especially for German companies in infrastructure construction, energy, machinery manufacturing, design and consulting. 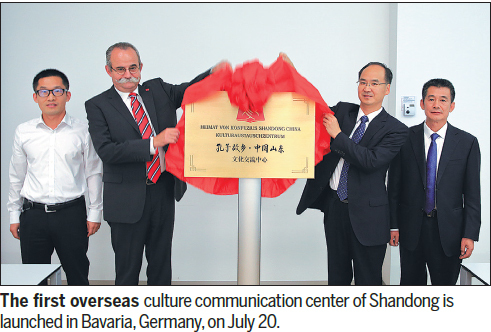 The culture communication center will further promote communications between Shandong and Bavaria, Tirre said. 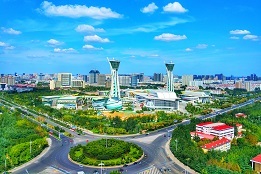 The construction of the culture communication center is a new model developed by Shandong's government to promote its traditional culture on the global stage. It will provide a platform to strengthen cultural understanding, cooperation, trade and friendship. The center has books, images and visual products that demonstrate Shandong's traditional culture and development. Linde Hydraulics is a manufacturer of heavy-duty hydraulics, power transmissions and electronic, German. In 2012, Weichai Power, a vehicle component developer and producer in the Weifang Hi-tech Industrial Development Zone in Shandong, bought a 25 percent stake in German forklift-maker Kion for 467 million euros ($543.7 million) and a 70 percent controlling stake in Kion's subsidiary Linde Hydraulics, for 271 million euros. In 2015, Linde's Weifang factory was put into operation, marking a new milestone for Sino-German cooperation in Aschaffenburg, Germany. 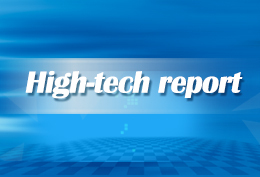 In 2016, the factory was put into operation and Weichai has invested in it.